Join Videoslots.com and the game maker Side City Studios on an exciting trip to Central America, precisely to Mexico, where a very important feast, the Día de Los Muertos, The Day of the Dead, is celebrated in November. The souls of the dead are believed to return to Earth for a short period and the celebration is grandiose with huge parades. At home small carefully decorated altars and other symbolic things are built, often to facilitate the journey of the soul to and from the earth. In Fortunes of the Dead, you are surrounded by elements from this unique piece of Mexican folklore as well as by the extra helpful Wilds, free spins and Superb Bonus Games! Welcome to the Fortunes of the Dead video slot, produced by the game manufacturer Side City Studios! Fortunes of the Dead is a 5-reel, 3-row online slot with 50 paylines. The control panel buttons can be found at the bottom of the reels and from here you can set your bet amount – from a minimum of € 0.5 up to a maximum of € 500. 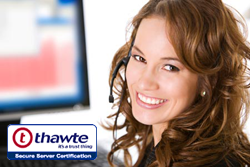 Fortunes of the Dead comes with an RTP of 95.79%. In addition to the base game symbols, there are a couple of special icons on the celebration of Día de Los Muertos. The Scatter, a prancing horse ridden by a skeleton, activates the free spins function when these symbols land on the second, third and fourth wheels. At the beginning of the function, a wild symbol is randomly placed on the reels and stays locked in its position to help create winning combinations. The rounds include five free spins. The wild symbols are very helpful even in the Once in a Wild extra feature. When the function is triggered, you are rewarded with a re-spin where four wilds are randomly placed on the playing field. The Bonus Game Skull Bonus in the Fortunes of the Dead video slot is activated when three skulls with horns land on wheels number one, three and five. Your task is to click on one of the skulls in the picture to reveal a secret coin prize. Enter the Fortunes of the Dead video slot, where you are welcomed by the dead in a colourful party with nicely adorned skulls, golden coins, candy and cookies. Although it may feel feisty, you are at the Day of the Dead, basically no mourning feast; instead, the arrival of the spirits and the memory of the passing are celebrated properly. The symbols that give slightly lower payouts in matching winning combinations are light candles, skulls covered with candles, baskets of goodies such as bananas and chocolate, precious golden coins and small pots of coal. The symbols that give higher payout consist of a number of skeletons - a man with a big Mexican hat and impressive moustache, the mariachi band and elegant ladies in a formal dress. The highest payout in a winning combination comes from the game’s logo. 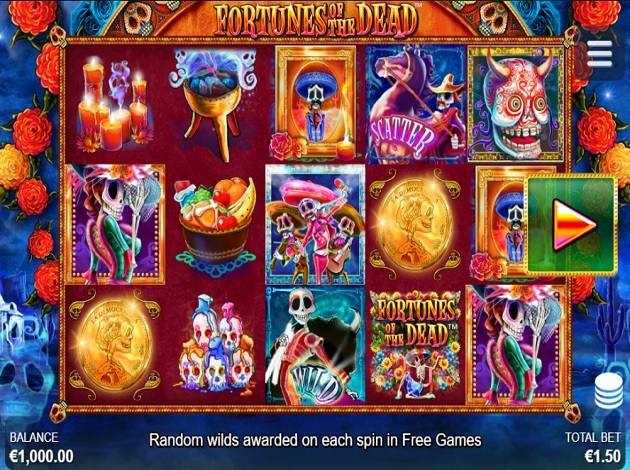 Fortunes of the Dead video slot has an energetic and interesting theme characterised by the festivities of Mexican Día de Los Muertos. Game providers Side City Studios have done a thorough job in designing the game and its creatively designed symbols. You will be greeted by a comprehensively detailed playing field filled with animations featuring dancing mariachi bands, flying skeletons, sparkling purple smoke and rising horses. Despite the level of detail in the game, the game interface never appears cluttered, largely because the control panel buttons are invisible when the wheels are in the spin. To read the game rules, the symbols, the free spins feature and the bonus features, click on the three horizontal lines in the top right of the screen. Are you ready to celebrate Día de Los Muertos, while trying to earn wins from the reels of the Fortunes of the Dead video slot? The thoroughly decorated skulls may be perceived as intimidating for those who are not familiar with this particular feast, but as we mentioned earlier, the Dia de Los Muertos is about celebrating the return of the dead rather than mourning their passing. Free Spins and Bonus Games await, so hurry up because the big wins won’t wait until the afterlife!